Ratings how do these work? Wekiwa Springs State Park is located about thirty minutes outside of the Orlando theme park area in Apopka, Florida. While it’s close to the city, it’s very wooded with rolling hills and a natural spring - if you didn’t know any better you’d never know you were close to a big city. We’ve been to Wekiwa Springs in every season, and it’s always been a ton of fun. 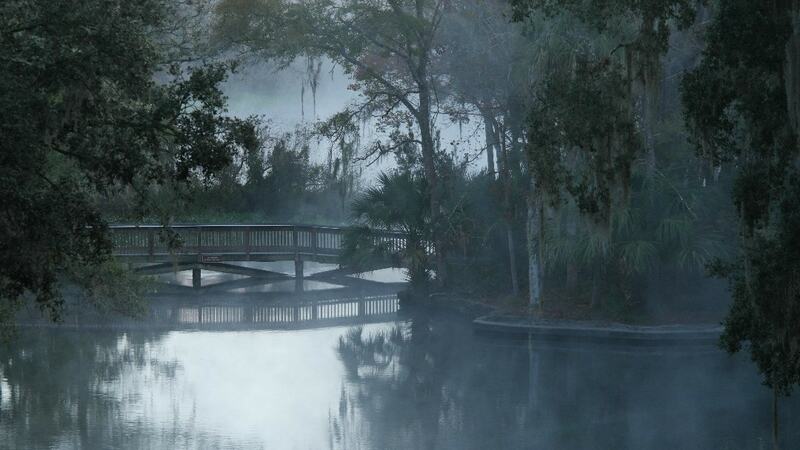 Speaking of seasons - in the colder season Wekiwa springs is a real treat. The spring is 72 degrees year round. This means that if you get up early enough, the spring bellows a thick mist, creating a surreal environment. 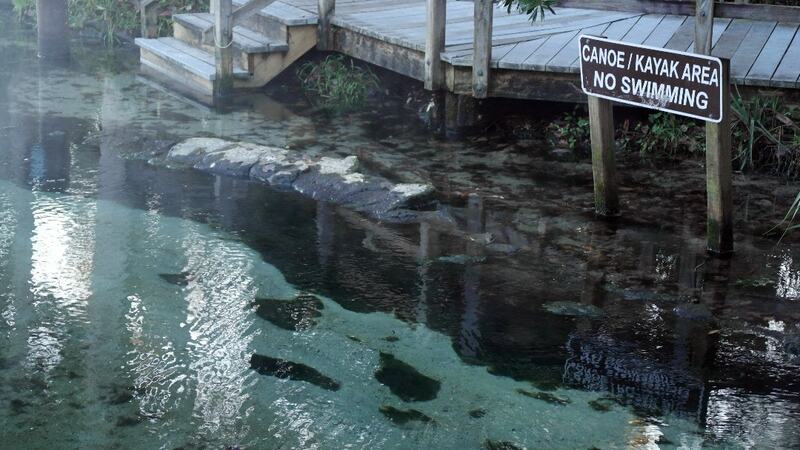 Unlike Blue Springs, it doesn’t seem like manatees frequent the spring, leaving it open to swimming year round. 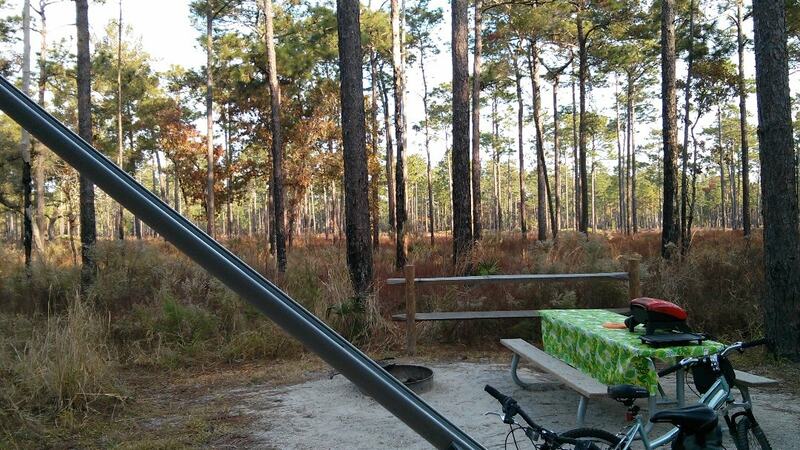 The campground at Wekiwa Springs is very nice. 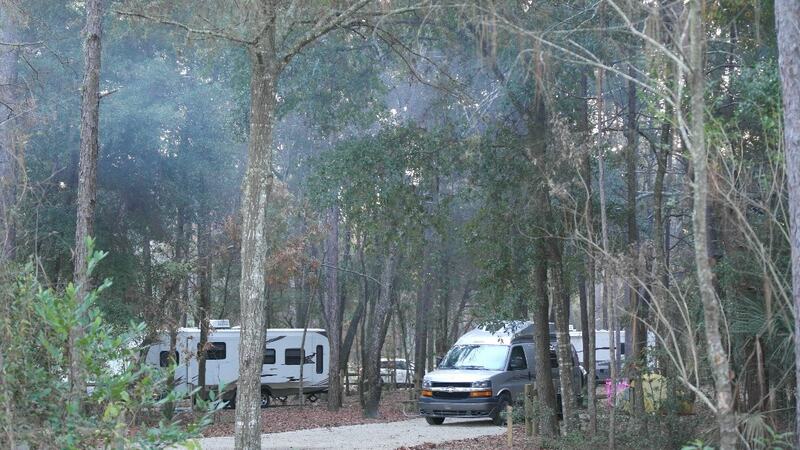 A few years back Wekiwa Springs State Park renovated some of the sites in its campground and added many full hookup sites. It is comprised of two loops both with clean bath houses and laundry facilities. The sites are in general level with a little bit of woods between the sites, giving a small amount of privacy. When you enter the campground loops, you’ll be greeted with something interesting and not seen too much in Florida - bear proof dumpsters! While we haven’t seen any bears in our travels inside the park, we have seen deer and other critters throughout the park. If you get a site on the outside of one of the loops, then your in for a great view. There is a lot to do both in and outside of Wekiwa Springs State Park, and it really depends on what your into. Bike riding in the park is great, as the hills and scenery make for a fun ride. The hiking trails in Wekiwa Springs are also a lot of fun - just make sure you bring a trail map as there are many different trails making it easy to confuse the trail your on. 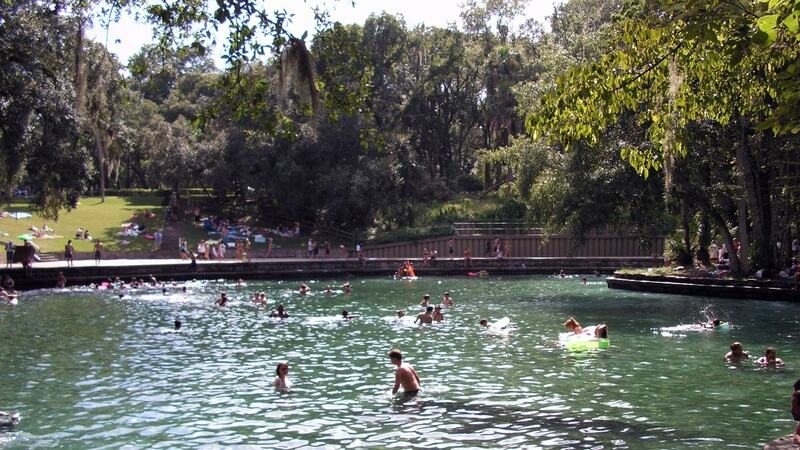 Wekiwa Springs State Park is really known for its namesake - particularly the main swimming spring. The spring is enclosed about two - thirds the way around with a wall and sidewalk combination, making it very accessible. There is also a lift available for those needing one. This park really caters to all. The bottom of the spring is mostly sand and on days when you get out there early enough you can actually see the water churning out of the spring. At the outlet of the spring, you can pick up a canoe or kayak and explore more of the park from the water. There is a dividing line at the outlet which keeps the swimmers from the boating area, making for a better experience for all. One of the nice things here is that the clarity of the water continues which is just cool to see considering the majority of the freshwater in Florida is no where near this. Note: If you’re camping at Wekiwa Springs State Park, particularly in the warmer months, you may hit a line getting back into the park since they hit capacity often. While you as a camper will be allowed back in, your visitors might not be so lucky. Also depending on the time of day, the wait could be a bit. Plan accordingly. With Orlando being so close, it’s hard not to talk about the theme parks, if your going to International Drive and the Universal Studios area, then this is a great campground to stay at. If you are planning on going to Disney though, then you might want to look into Lake Louisa State Park as it’s closer than Wekiwa Springs. We had made the error once and it takes anywhere from 45 minutes to an hour to get to Disney from Wekiwa in the Orlando traffic. From Wekiwa Springs State Park, you can visit other fun outdoor and inexpensive things rather quickly. The West Orange Trail is close by and makes for a really fun day long biking activity on its slow hills and mostly shaded path. Typically we pick up the trail in Winter Garden, which has lots of parking and restaurants. The Town of Mount Dora is also a fun place to visit with its little shops and many restaurants. Mount Dora is also known for a variety of events and festivals. You can also catch the SunRail, as the Longwood station is really close to Wekiwa Springs State Park. On our last trip the kids had a blast on the train. Additionally, it stops all over the Orlando area, many with activities and places to eat right around the station. Wekiwa Springs State Park is an amazing place to camp - it’s one of our family’s favorite parks. It’s a great place to just stay put and relax. It’s also a great place to use as a launch point for your adventures. We like that it’s in the middle of everything, but still feels like your in the woods. In this installment of our git series we're expanding on the merge command and looking into merge conflicts, which are everyone's pain point when using git. Having trouble learning git or need a place to start? In this installment in our git series, we take a look at branches.